We’d love your help. 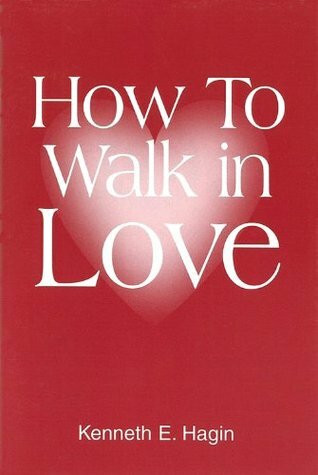 Let us know what’s wrong with this preview of How To Walk In Love by Kenneth E. Hagin. Learn what it means to walk in love with Kenneth E.
To ask other readers questions about How To Walk In Love, please sign up. Always loved this man of God. God read. Very encouraging short booklet on love. I read this book twice and was blessed by the words of this great man of a God. I will encourage everyone to read and practice the principle of love. Very practical and beautiful book. The author uses real situations he has gone through and this how he uses love to solve issues. Love the stories and practical examples of how to walk in Gods love. Very easy to read, very easy to see why we can walk in Gods love! Walking in is everything. I love Bother Hagins teaching. I am so thankful for more knowledge on the Word of God. Love is the answer. To EVERYTHING. Short and to the point—Love! A quick read, with memorable statements. A good mixture of stories and Scripture, as well. This book will allow the Holy Spirit to guide and convict you of any thoughts or deeds in relationships not aligned with God's Word. This book has made a tremendous impact in my beliefs and thinking and has benefitted me in many other ways. I highly recommend it. Every Christian need to read this book. Brother Kenneth was a example of one who is walking in Love of Christ. I was introduced to Kenneth Hagin's Ministry through my husband. I came from a home filled with strife and confusion. I hated this environment but behaved the same. My husband has helped me over the years to apply his teachings to my life. I have not arrived but I certainly have left go. This book is a blessing to my life. This is a great book all Christians could benefit from reading..
With so much negativity in the world, love could solve most issues. Kenneth Hagin teaches the simplicity from the Word of God. When we walk in spiritual love, life is a blessing. This book touches me deeply and intimately. Love your enemies, bless them, do good to them and pray for them. Father, empower me to walk in your love that your light might shine in me & through me. Amen. Afpdequate. I wanted more. It left me hanging. Well written from a technical view point. In 1968, Rev. Hagin published the first issues of The Word of Faith magazine, which now has a monthly circulation of more than 300,000. The publishing outreach he founded, Faith Library Publications, has circulated worldwide more than 65 million copies of books by Rev. Hag Rev. Kenneth Erwin Hagin, known as the “father of the modern faith movement,” served in Christian ministry for nearly 70 years.